The Boston Globe pulled a column in which a self-described journalist advised waiters to “tamper” with the food of officials in the Trump administration. The paper revised the article three times before eventually removing it altogether. 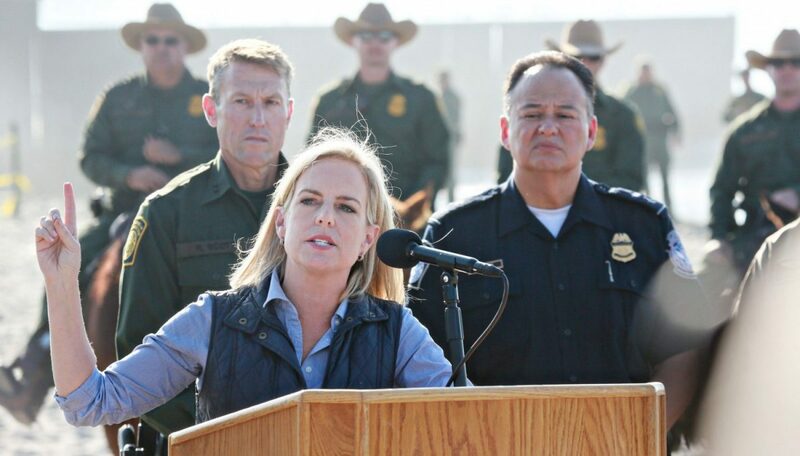 Luke O’Neil, who has been published in New York magazine, the Washington Post, and other left-leaning outlets, wrote that Kirstjen Nielsen, who recently announced her resignation as secretary of Homeland Security, should be kept unemployed. He wrote that he enjoyed it when Nielsen and other officials were accosted by far-left protesters while dining out, and then expressed dismay when people on both sides of the political spectrum decried the treatment. He also wrote that he wished he’d urinated in salmon he served Bill Kristol while waiting on the neoconservative and current Never Trumper and urged waiters to “tamper with” the food of Trump officials. “You might lose your serving job. But you’d be serving America. And you won’t have any regrets years later,” O’Neil wrote. After three revisions and a correction, the Globe ultimately yanked the column. It did not apologize to Nielsen or for publishing the article. 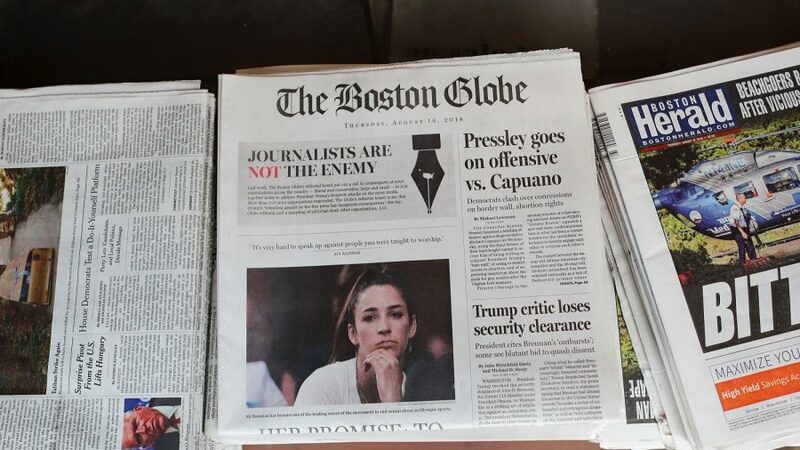 On the same page is a column by the Globe’s editorial board slamming President Donald Trump for calling certain journalists “the enemy of the people” for publishing fake news. O’Neil, who made his Twitter account private amid a backlash over the article, has refused to apologize for what he wrote. “I do not apologize for it personally whatsoever,” O’Neil told the openly anti-Trump Washington Post. O’Neil, who had been writing weekly columns for the Globe, said that he would never write for them again. “They completely cut my throat on this,” he said. Some of his other columns have claimed that the National Rifle Association “thinks your crazy ex-boyfriend should be able to get a gun”; slammed Trump’s daughter, Ivanka Trump, for criticizing the Green New Deal; and piled on to a Kentucky high school student who stood still and smiled as a Native American banged a drum in his face. He also wrote for the Post in 2017 that he was a big fan of New England Patriots quarterback Tom Brady until Trump came along. Shirley Leung, the Globe’s interim editorial page editor, did not comment on the column’s removal and still had a post sharing a link to the article live on her Twitter page as of April 12. The Globe Opinion social media accounts did not alert readers to the column’s removal. The paper also still had an op-ed from Globe columnist Joan Vennochi claiming that Neilsen should not be able to have an “image makeover” after working for Trump. The article included a photoshopped picture showing Nielsen stuck in some fencing.